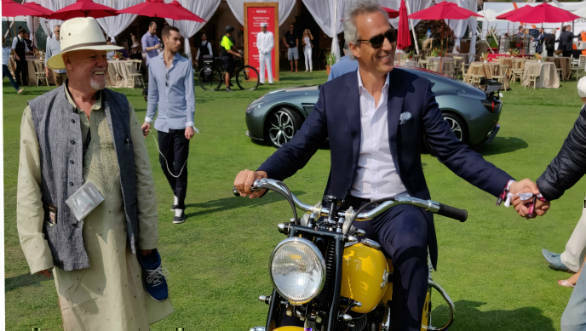 Indian industrialist Arjun Oberoi took top honours at the 2018 Quail, a Motorsport Gathering, winning the 'Sports and Racing Motorcycles' class with his canary yellow 1947 Indian Chief 1200 Sportsman. Quail is one of the major automotive events of the Monterey Car Week, which includes vintage races, various cars shows, blue-chip automotive auctions, and ends with the prestigious Pebble Beach Concours. The motorcycle was originally owned by H.H. Maharaja Yadavindra Singh of Patiala, and presented to his brother Prince Karminder Singh. The motorcycle was lost in a billiards wager to grand-nephew Raninder Singh Patiala. Arjun bought the motorcycle in 1995 and had since had it restored, winning 'Best of Show - Motorcycles' at the 2017 Cartier Concours d'Elegance in Hyderabad.